Universal and Extremely strong, heavy duty water resistant seat covers. 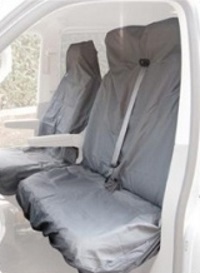 They are very well made and an excellent investment to protect your seats from dirt, grease, oil, water, food and drink. 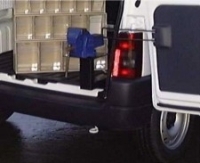 Van Floor Mats - Tailored in Rubber and Carpet. The tailored specific rubber and carpet mats are from hardwearing, automotive quality material. Black velour carrera carpet with taped and stitched edging and featuring an anti-slip coating on the underside. 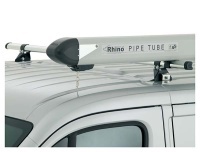 Universal 3 metre safety approved crash tested pipe carriers made from light but strong powder coated aluminium tubing. The end cones are reinforced and aerodynamic to ensure minimal wind drag and maximum style. 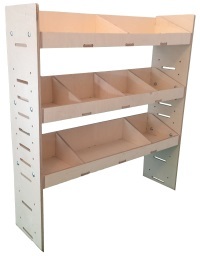 The shelves are adjustable up an down on 30mm centres, allowing the unit to be set with clearances to suit your needs. 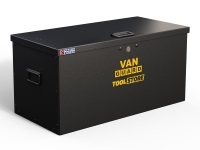 The bottom shelf can be positioned to give clearance over the van wheel boxes if required. 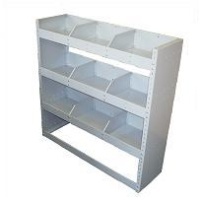 Finished in powder coated light grey and are supplied with bracketing to allow fitting of units into the van. Multiple units can be joined together. 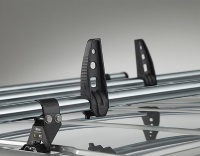 Universal and Extremely strong, heavy duty ratchet straps. 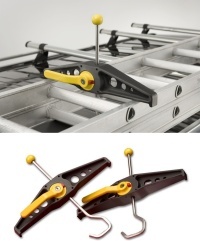 The slide out vice beam is essential for any mobile engineer or builder to comply with onsite health and safety. 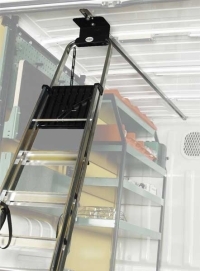 The sliding arm can extend Up To a meter long but still giving you a rigid platform to work on. 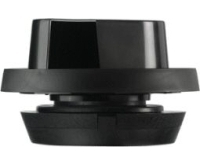 The vice holder is supplied with a 4 inch engineers vice or as part of a package with bolts and fixings included. 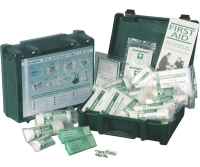 We offer first aid kits to meet your health and safety requirements. All of our products are HSE fully workplace compliant kits.